In a couple of days, on march 28th, Alexandre Grothendieck will turn 85.
as did the village of Le Chambon-sur-Lignon, where Grothendieck was kept safe from 1942-1945, separated from his mother who was send to an internment camp (his father was deported by the French authorities in august 1942 and killed by the Nazis in Auschwitz). After the war, Alexandre was reunited with his mother and, according to Allyn Jackson’s As If Summoned from the Void: The Life of Alexandre Grothendieck, they “went to live in Maisargues, a village in the wine-growing region outside of Montpellier”. But, there is no Maisargues nor Mairargues to be found in France. There is the village of Caissargues, close to Nimes, about 50 kms from Montpellier, and, there is the village of Meyrargues, close to Pertuis, more than 170 kms from Montpellier. So, where is the hamlet of “la belle vie”? 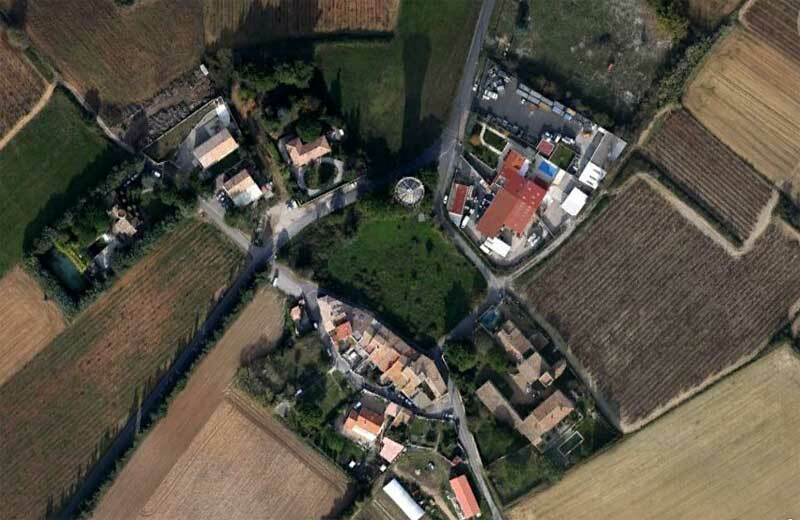 Although Grothendieck misspells Mayrargues, he points to the village of Vendargues which is situated 12 kms east of Montpellier and has a hamlet called Mayrargues (foto above). Via Google Maps you can visit “l’hameau de la belle vie” by yourself (it even has streetview). – Marcelin Albert (1851-1921), séjourne au mazet de Montmaris, leader de la révolte viticole, est le parrain de Marcellin Guille né en 1907 et oncle d’Archiguille. – Archiguille (Augustin François Guille, peintre contemporain “Transfigurations”) vivant en Suisse. – le baron Pierre Le Roy de Boiseaumarié, (1890-1967), fondateur des appellations d’origine contrôlées, vigneron à Châteauneuf-du-Pape.